This is a watercolor floral group with 24 inch panel that features beautiful butterflies and flowers. The coordinates includes a large floral, tonal and colored butterflies, a fern print and a small tossed floral. Please check our shop for other fabric from this line! We have all the fabrics in this specific line. This listing is for one yard of the fabric shown. It is 100% cotton. Approximately 36" wide and 44" in length. Purchases of more than one yard will be cut in a continuous piece. Machine wash cold with like colors, tumble dry low. 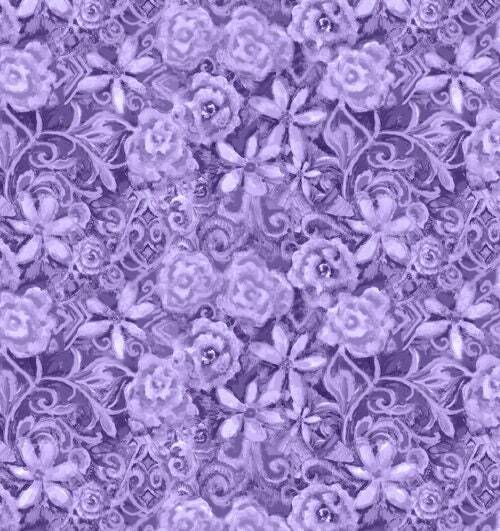 This fabric is 100% cotton and high quality quilters cotton. From a smoke free and pet free quilt shop.